Rainbow Brite, Optimus Prime, and Me | Tim Loves Everyone! 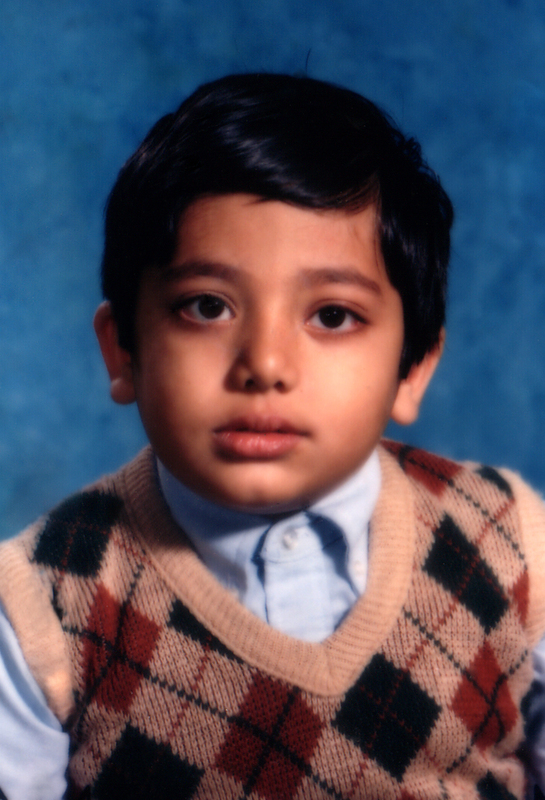 I was terrified of life in the first grade. Come to think of it, I was terrified of life all throughout grade school. But those first few elementary years were wretched. I would fake illnesses to escape school, and until my parents grew tired of my belly-aching (I literally belly-ached; I was 6, I hadn’t perfected disease-faking yet), it usually worked. Being a soft-spoken teacher’s pet in those early years did help, though. Kids will generally leave you alone, if not respect you, for being modest. All of my fellow first-graders brought their lunches to school. It was a source of pride and comfort, comparing lunches and carrying a taste and reminder of home into the belligerent and frightening foreignness of public school. It was a safety line to parents in a way, the only people we’d learned to trust in 6 years of living. With parents who knew and cared little for pop-cultural relevance, and me being too young to completely understand its apparent importance, I dressed like a gnome, parted and combed my hair down flat, wore my pants closer to my armpits than my belly button, and carried a girl’s lunch box. I was 6. I knew no better. I was scared around the clock, wanting to go home, and I knew not to care for anything about my lunch box but its sweet, calorie-laden contents. That’s right. 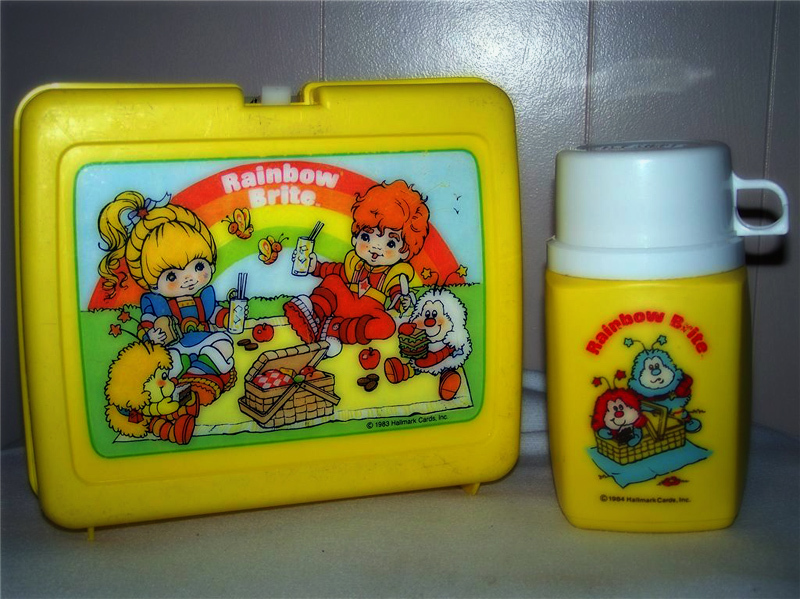 Until my so-called friends at school thoroughly and passionately convinced me of my foolishness, I carried a bright yellow Rainbow Brite lunch box, which held my daily ration of PB&J on white bread, complete with a bright yellow thermos of milk and a bag of Cheetos. It may have been a target for ridicule in 1986 (as if I didn’t do a good enough job being a target already), but I’d love to still own that piece of personal history. I don’t know where it went — I can only hope it properly ended up in the hands of a girl — but I do remember the shame I felt when my classmates pointed out the absurdity of my luggage. I also remember that the box was soon replaced, after anguished complaining to my parents, with a glossy, modern Transformers lunch box, also complete with matching thermos. Here’s a secret: if you want to make a first-grader happy, just have Optimus Prime and Megatron be silent witnesses at every lunchtime. It worked for me. My parents might have dressed me like a gnome, but I was clean, I ate well, I had a loving home and I had fun. It’s unfortunately rare these days to find such a stellar checklist completed, but my parents jumped through hoops to do it for me and my brothers. Somehow it’s the most trivial things like TV-themed lunch boxes that stand out as symbols of love. Love, I suppose, makes you buy things you don’t really need, and, as in my case, fear may be what makes you want them in the first place. You made a pretty adorable gnome, if you don’t mind me saying :). I’m getting a tattoo of you sprawled out on a bed of feathers, on my back. Stan, I’ve already got a tattoo of you on my face. You have to look closely, though. It looks like an eyebrow, but it’s really you reclining on a black duvet.